CCW MiraDRAIN 9000 is a high-performance, high-strength drainage composite. 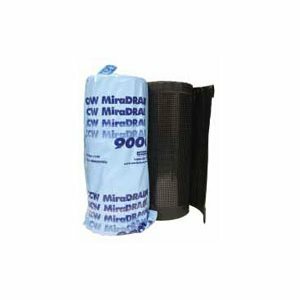 CCW MiraDRAIN 9000 drainage composite consists of a three-dimensional, high-impact polypropylene core and a woven filter fabric. 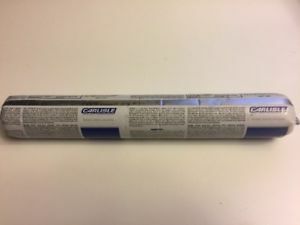 The filter fabric is bonded to the individual dimples of the molded polystyrene core to minimize fabric intrusion into the flow channels caused by overburden pressure. The fabric serves as a filter medium to prevent the passage of particles into the core, while allowing surface moisture to pass freely. CCW MiraDRAIN 9000’s woven, monofilament fabric withstands high abrasion from applied overburden and prevents intrusion into the drainage core due to its low elongation characteristics. The woven fabric is better suited to receive a directly poured concrete topping than nonwoven geotextile fabrics. 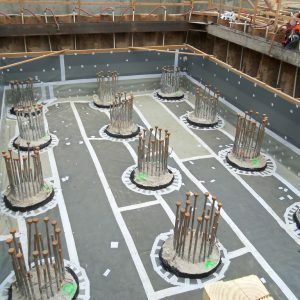 CCW MiraDRAIN 9000 is designed for use in horizontal plaza, roof deck and between-slab drainage applications where single-sided subsurface drainage is required. 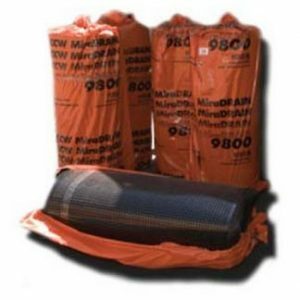 CCW MiraDRAIN 9000 also serves as a protection course when used in conjunction with CCW Waterproofing Membranes.